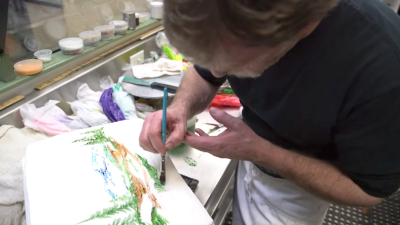 If all there was to designing a cake was slapping on some icing, adding a few letters and colorful swirls, Jack Phillips's place of business would not be called "Masterpiece Cakeshop," and he wouldn't be nearly so renowned for his skills and creativity. He'd just be another guy who sold cupcakes and cookies. The name "Masterpiece" is not an expression of personal hubris, nor just an indicator that Jack creates artistic cakes. The name is a testimony that his work takes its inspiration from something—or, rather, Someone—inseparable from what Jack believes and who he is: namely, the Master of all creation and all creative endeavors. Jack is a Christian. His life is grounded in his faith...and so is his livelihood. His desire to live a godly life is not something he can leave at the breakfast table and pick up again when he walks in for supper at the end of the day. For people like Jack, living is about consciously honoring his Master. And in ruling for Jack this week, the Supreme Court found that beliefs like his deserve protection too. They can't be singled out for mistreatment just because they embrace views on marriage the government may disdain. Some in our culture find that kind of religious devotion fanatical. But Jack doesn't go by the culture; he goes by the Bible. And the Bible tells him to love everyone—even those with whom he disagrees. It doesn't tell him to agree with everyone he shows love to, or to bend his beliefs to fit their requests. He can treat his customers with respect without doing everything they might ask of him. That's not so hard for most Americans to understand. All of us, whatever our beliefs, have people we care about who just don't see some things the way we do. That doesn't mean we hate them, or want them mistreated. It means we disagree. We do our best to live and let live. They make their choices, and we make ours. No one should want to live in a country where anyone—including the government—can change that, by forcing us to take actions that contradict our conscience. That idea violates the most basic, universal definition of freedom. It corrupts our nation's DNA as "the land of the free." In this age so fraught with hatred and turmoil, many loud and prominent voices demand that we all bow to the same social and political agenda. But the Supreme Court resisted the roar of that crowd, recognizing that the First Amendment rests on a different premise—the government cannot selectively punish people for sticking to their religious beliefs, even if a growing number of people despise them for it. Everyone should be able to have their arguments heard. And we all deserve a government that will administer justice, regardless of a person's faith or views on marriage. As the court wrote, "the Colorado Civil Rights Commission's consideration of this case was inconsistent with the State's obligation of religious neutrality." The opinion adds that "[t]he reason and motive for the baker's refusal were based on [Jack Phillips'] sincere religious beliefs and convictions" and condemns the "clear and impermissible hostility toward [Jack's] sincere religious beliefs." In other words, their hatred for his viewpoint kept them from giving him a fair and reasonable hearing. What those now deriding the decision refuse to understand is that, in deciding as it did in Jack's case, the court affirmed freedom not just for him but for all Americans. In extending to him those constitutional protections, it ensured for each of us—whatever our beliefs about marriage or the nature of faith—the right to live out our deepest convictions free from government hostility. That's the life each of us truly wants. It's our great legacy as Americans, the best courtesy we can offer the people we interact with each day, and the richest gift we can pass on to our children and grandchildren. Having the nation's highest court affirm that legal foundation was worth all that Jack has been through, these last few years...even if it wasn't a piece of cake. Chris Potts is senior creative writer and editor with Alliance Defending Freedom, which represents Jack Phillips and Masterpiece Cakeshop.